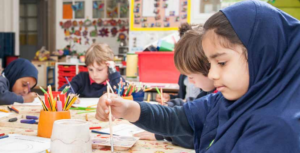 The findings from the survey will help define best practice by identifying what activities primary schools are currently doing and to establish where additional support and training is needed. As part of this project we are interested in finding a number of schools to use as exemplar case studies. If you are interested in discussing your great practices in greater depth please leave your email address at the end of the survey. The survey takes around 7-10 minutes of your time. We close the survey on 29th JULY 2018. Please take our survey: https://bit.ly/2IZXuoD.